You need some "atomic fireballs" for this game. You can have the child quote a Bible verse over and over again while filling their mouth with fire balls! You can also talk about how the tongue is like a fire (James 3:6) and must be controlled by God. This game is a lot of fun. You will see some funny pictures drawn by the kids "in front of the train." The first team that finishes and draws the best picture wins! This review game is a team event. A wheel such as in the Wheel of Fortune is needed. Give each child in class a piece of paper. Give them 3 minutes to make a paper airplane. Then have each of them come up front one at a time and attempt to fly their plane toward a specific target. And the least shall be first in this friendly competition game of flying paper airplanes. A few years ago I was browsing in the shopping mall and walked by a store that had remote-controlled robots for sale. I immediately thought that the robot would make a great addition to our children’s church team! This is a game that is hard for everyone to see in a big group. Use a video camera and close-circuit the signal to a TV or video projector so that no one misses the action. Scripture (Proverbs 6:6) tells us to learn a lesson from the ants on how to be wise. Here's a game that is both fun and lets you do just that. This game allows kids to practice serving at home in a fun, competitive way. Another great Boys against Girls competition game! The kids will have lots of fun trying to complete this game! This is a fun game that can be used to teach a Bible verse. The idea of the game is to keep the balloon in the air. Every time someone hits it, they must FIRST (or at the same time) name a person in the Bible. Ask the kids a Bible question. The first one to raise their hand gets to answer it. If they answer correctly, they get to shoot at the can with the nerf basketball. The object of this game is to have the lowest number of total cards picked by a team. Every pick counts as one, whether right or wrong. This is so basic but really works well with kids. With a bag of candy in one hand, take turns asking each section a review question. A fun game to play in a medium to large size group. Looking for new ideas for teaching the books of the Bible to your class? These Books of the Bible Cards are a great way for kids to interact with and learn the books of the Bible. Includes instructions for 7 different games. This is a great game to help children learn about each other. This game is modeled after Bozo's Grand Prize Game. On an eight-foot table, place five bright buckets. Fun buzzers for a review game. Circle game with and "it" Electrifying game! This game shows kids that not being able to talk is challenging! Have you ever played the London Bridge Game? These Christian versions of this children's game will not only be fun for your children, but will also help teach them about God! 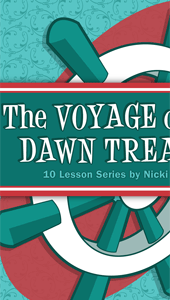 A quick and easy Christmas themed game for use in your kidmin. Looking for a last minute activity for Christmas Eve Children's Service? Here is a fun printable worksheet you can use this week. Use this game as a lesson intro, time filler, or just to have fun! Engage kids with these great games for your bus ministry. A fun idea for a hilarious game. Never a dull moment when you have kids, food and games. Here is a fun activity to help your little ones become more familiar with this wondrous time in earth’s history. An adaptation of David and Bathsheba to teach about hiding sin. If you want something sticky, icky, and messy, here it is! Do You Know? A Game Idea for Learning about God! Moses once boldly said: "Show Me Your Glory!" If you want a game to introduce a lesson on Exodus 33:18, then "How Well Do You Know Your Sibling?" is the game for you! Are you ready for a fun and simple game that your kids will go crazy about? Here is one such game. You will need a bunch of dominoes. This game works like hangman. Take turns between sides guessing a letter for the blanks. Whenever a letter is guessed correctly, fill in the blank with that letter. When a letter is guessed wrong, that team loses $.10. This is a great contest for all members of the family to participate in no matter what their football skills may be. Your kids will have fun with this wacky relay. You'll need fishing attire such as waders with suspenders, flannel shirts, hats, a plastic fish, and a bucket. You'll also need a tricycle. You will need to copy the story for this game. It makes a fun activity, especially for older children. Kids try to get their teammates to guess the word on the card by spelling it out with their fingers. Kids love this game! A leader holds a bouquet of balloons, some filled with helium and some with regular air. Some will float, and some will fall, but the kids have to guess which will happen. Get ready for a lot of laughs. The kids love this one. Here is a preschool Bible lesson and game for explaining how the Gospel is available to everyone! A fun preschool game, that helps kids learn to not just listen to God, but also do what he says. Here is a game you can use to help teach the story of Samson. This is a great ice breaker or opening for your class time. It can also be used to teach that we need to always be ready to give an answer when someone asks us about our faith (1 Peter 3:15). For this icebreaker, the children have to find out 5 things about another child. This is a great way for the kids to get to know each other.